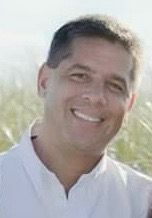 DELTUFO, Edward Kenneth, 52, of Hyde Park passed away on June 9, 2018. & Leo Rooney. Cherished Son-in-law of Kenneth and Jean Rossi, and brother-in-law of Guy Rossi. Joseph, Oliver, Cailyn, Margie, Jimmy, Julian, Marissa, Mark Anthony Jr., Cadence, and RaeLynn. Paul Athanas, Ruth Marasca and Alexandra Emerson. love and perseverance became the theme of Eddie’s life from start to finish. and football right beside his brothers. Eddie was also an avid golfer. 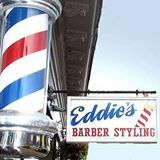 Congressman Moakley made sure the entire city of Boston knew Eddie possessed. his pure, loving and compassionate human nature, and from the unparalleled talents of his trade. their entire family. His greatest pride and joy were his daughters, Gabriella and Isabella. will resonate in the hearts of all of Eddie’s friends and loved ones forever.